CONGRATULATIONS RACHEL on getting your *FANATIC* Medal for the Ben 10 Alien Force Spot. 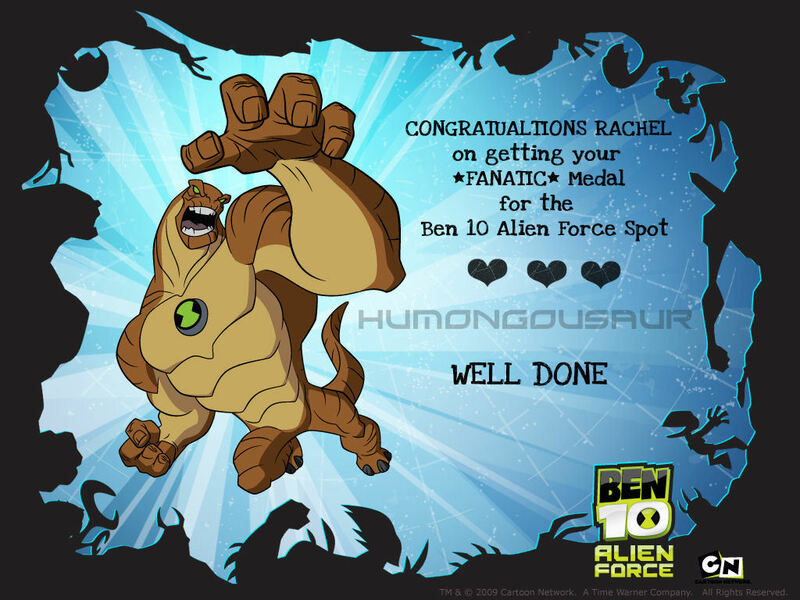 CONGRATULATIONS RACHEL on getting your *FANATIC* Medal for the Ben 10 Alien Force Spot. HD Wallpaper and background images in the funkyrach01 club tagged: sweet kind dearest friend rachel wallpaper.